This post has been long overdue and I'd like to firstly apologise for that. You may have noticed that recently (well since October) my posts haven't been very regular. I just didn't anticipate how much of a workload I would have going back to uni and things weren't going my way in my personal life either so I sort of let everything get on top of me. However, I'm trying to find more of a balance now and I'm actually having a go at being organised (which is quite new to me!). A while ago I was very lucky enough to win a giveaway hosted by the lovely Little Miss Plus Size. Her blog is a mixture of all things beauty, fashion, weight loss and she also talks about depression. It's definitely worth checking out, she has hauls, makeup reviews and a range of lifestyle posts too which make for an interesting read. 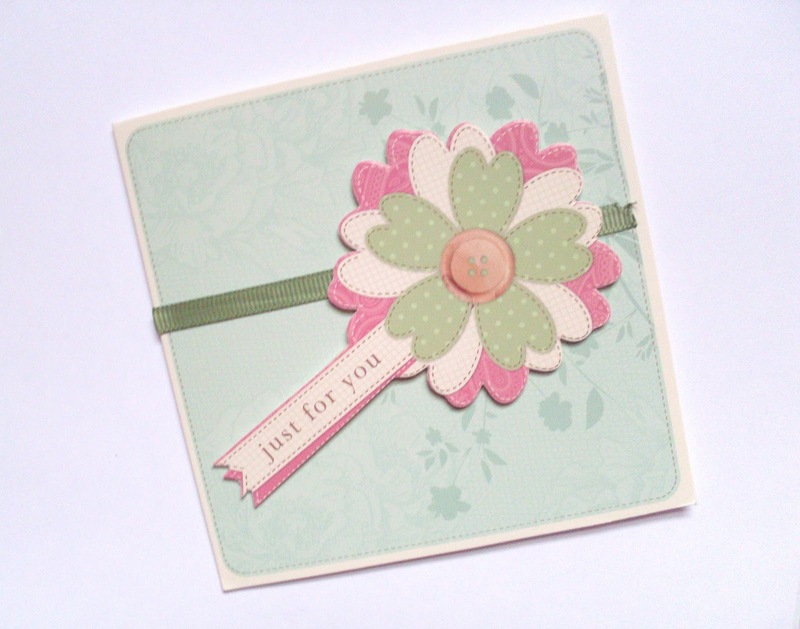 She sent me this card which was simply too cute! It was really lovely talking to Little Miss Plus Size and she was incredibly friendly! 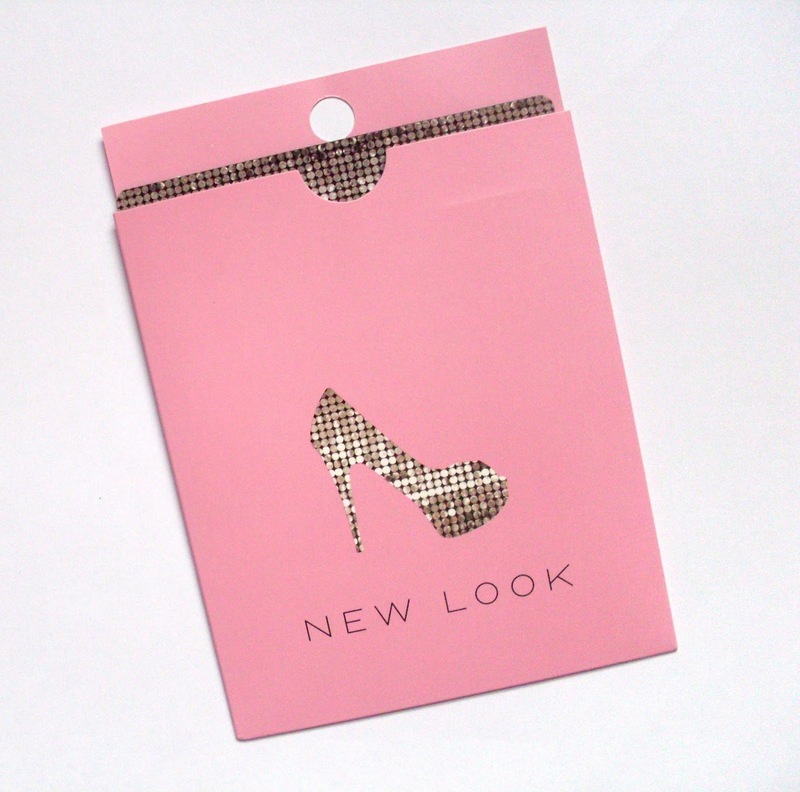 The prize I chose was a New Look gift card as I often find something I like in there. I haven't spent it just yet but I might pick up a Christmas jumper soon. 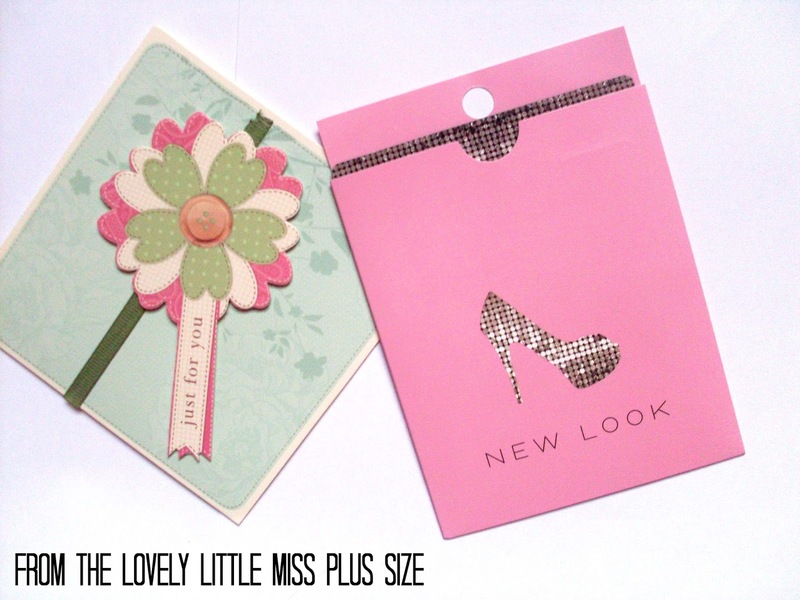 Thank you again to Little Miss Plus Size for the lovely prize and being so kind! A girl can never have enough nail polish right! But what do you do when you're all out of storage, when the term collector for you means your mountains of nail polish but you simply have to buy that one (ok few) new polish because it goes with your new dress? 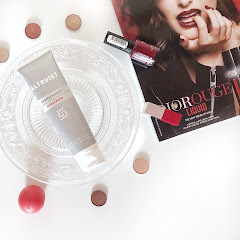 Let me introduce you to Coloristiq, they are an online rental service that provide you with three very expensive nail polishes each month as a subscription. Their mantra is 'Where your nail polish dreams come true..' and if you're nail obsessed then they may be the brand for you! 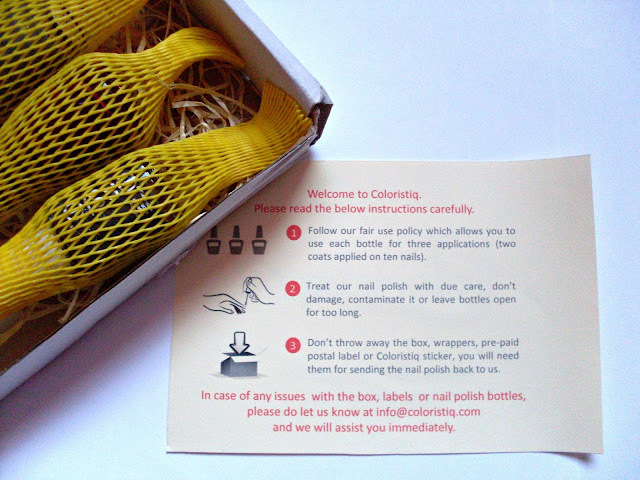 You receive your monthly box in the post, whereas there are endless beauty boxes to choose from, the Coloristiq nail polish box really is one of a kind! 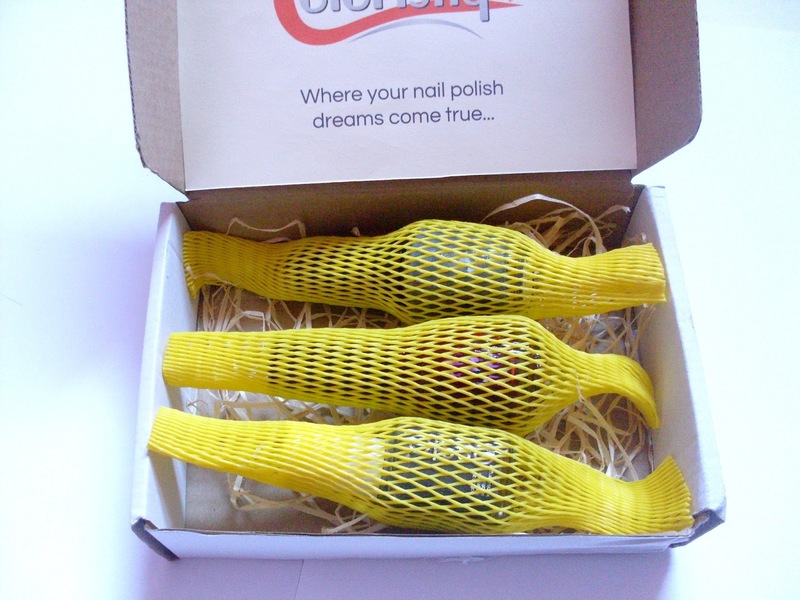 They come carefully packaged in these cute mesh wraps that keep them safe from damage. There are quite a few advantages of such a subscription box. You get to try out various expensive polishes and you can see if the shade is right for you before you buy them. Upcoming Christmas party? 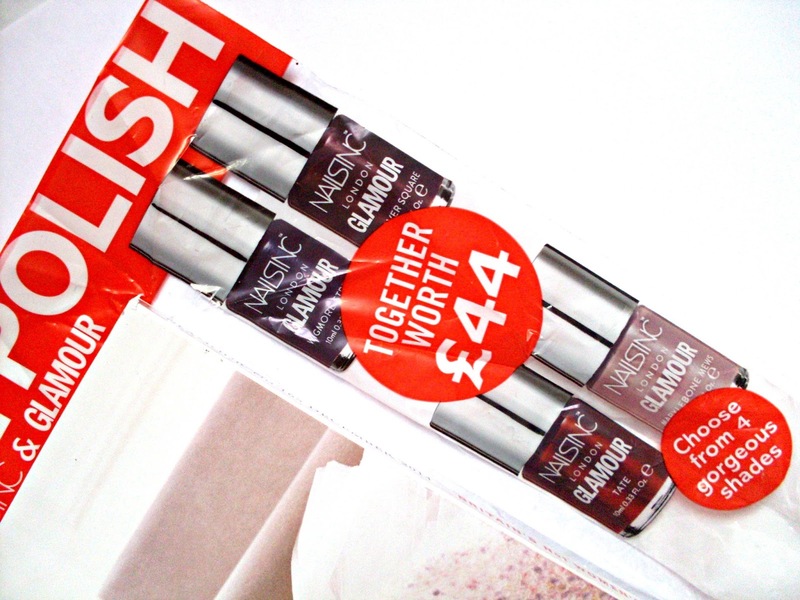 Just create a wish list with the shades you want and you're sorted. Or perhaps you want to try out the new Winter collections without buying each one. The only downside is the monthly cost of £14.49 (including VAT and both sending and return packaging). 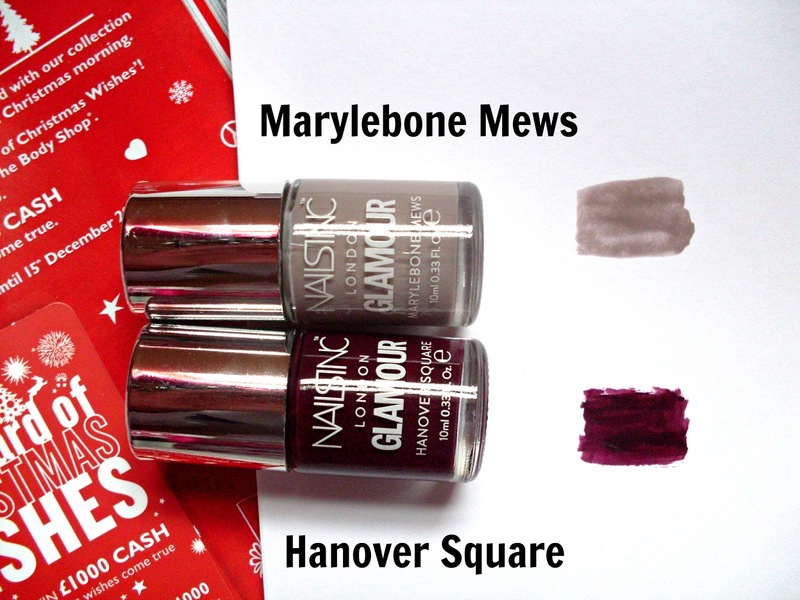 However, if you're a nail polish fiend who's constantly buying new polishes then less than £15 for some of the highest quality polishes may be easier for you. The biggest advantage is probably that you're not left with dozens of polishes that have gone gloopy by the time you get round to using them! 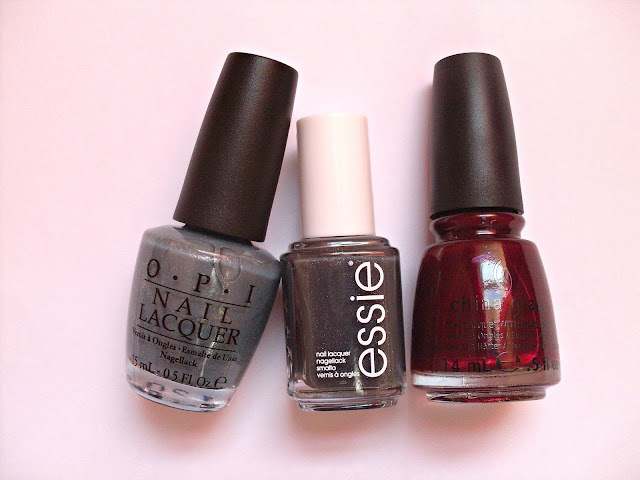 The brands they currently stock include OPI, Essie, China Glaze and Morgan Taylor. These are some of the most expensive brands available, and owning some OPI (and Essie) myself I'd definitely say they are great quality. You can apply each polish 3 times (with up to 2 coats for each time) and a total of 9 applications for the month. They've made it really easy to send the box back at the end of the month, you just stick the pre paid label on the box. You can also keep the box for longer than 30 days if you need to at no additional charge but your following month's box will only be sent when you return them. The shades I received in my box were OPI I Have A Herring Problem*, Essie Cashmere Bathrobe* and China Glaze Ravishing Darling*. 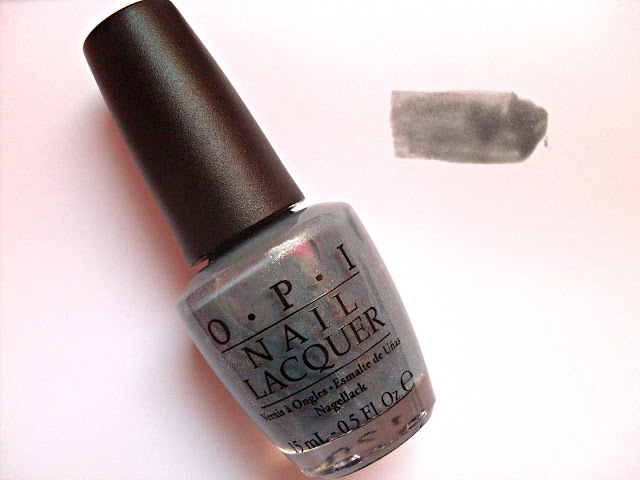 OPI I Have Herring Problem is a light grey that borders on silver. The glitter in it is quite subtle, almost like a soft shimmer. 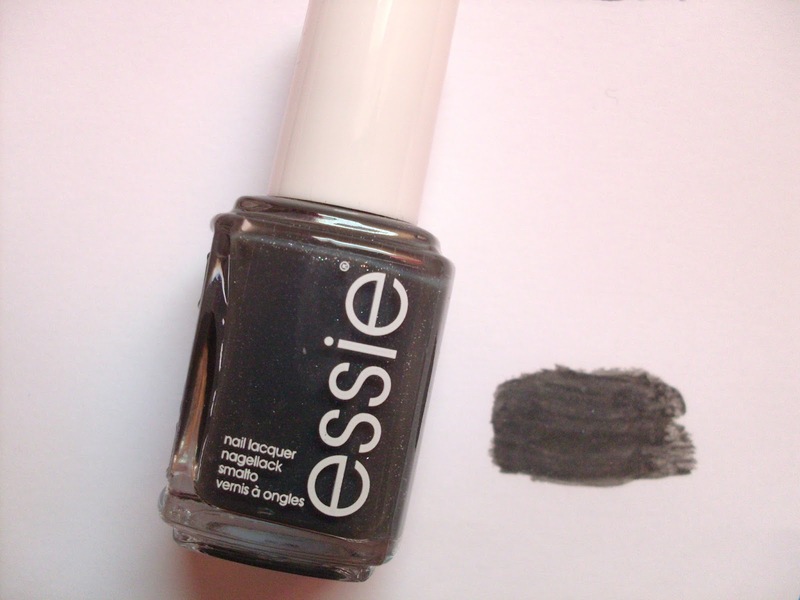 Essie Cashmere Bathrobe is more of a medium grey with the glitter being more pronounced. 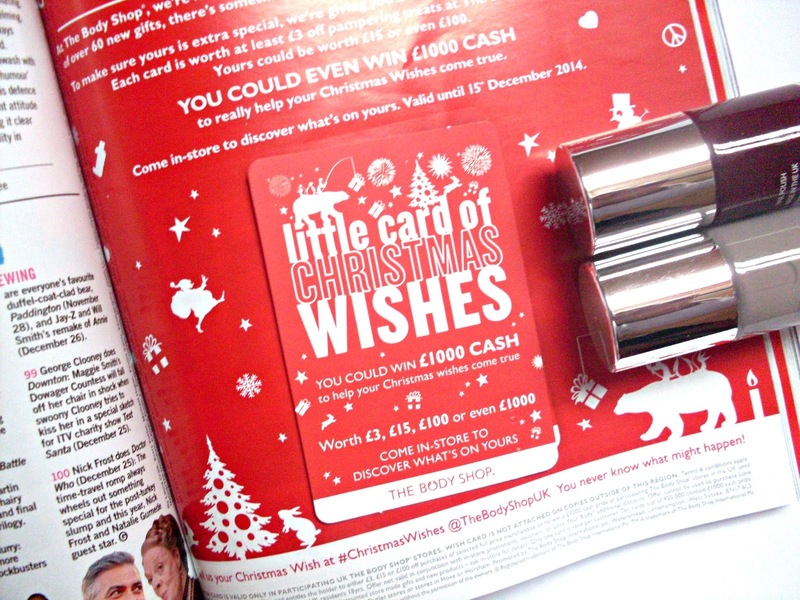 It also has quite a metallic look to it, and both the greys would look lovely for Christmas nails. China Glaze Ravishing Darling is my most favourite, it's a deep blood red that's perfect for a vampy look. With one layer it looks like it has pink undertones but with 2 or 3 layers it's more of a oxblood. Coloristiq have also been kind enough to give my readers a month's subscription for free.You register as normal and then send them an email at info@coloristiq.com with the code Velvet1 and they will manually refund you. I've been lucky enough to be one of the ambassadors for Coloristiq and it has certainly been interesting. 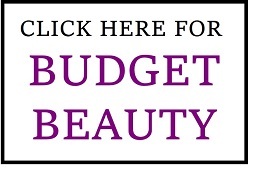 Check them out on twitter here for nail inspiration. I hope you enjoyed this post! 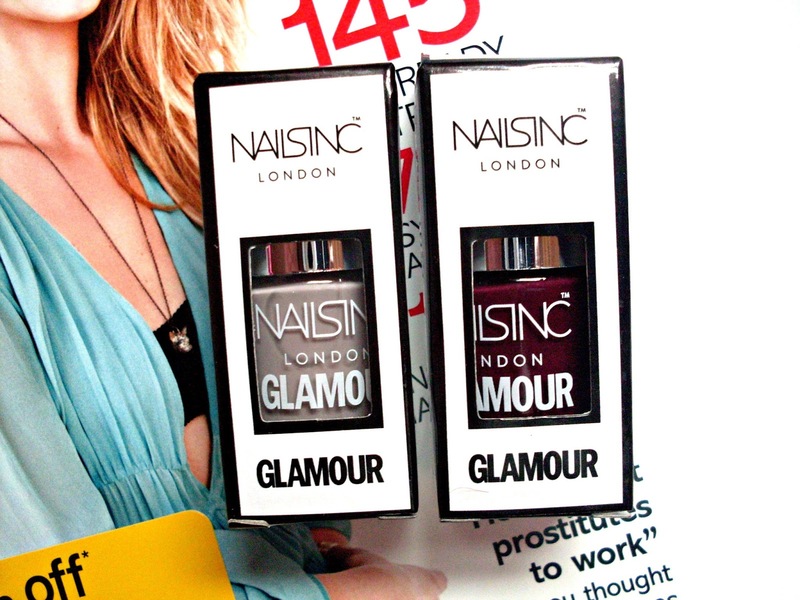 I'd love to hear if you're a nail polish collector yourself! 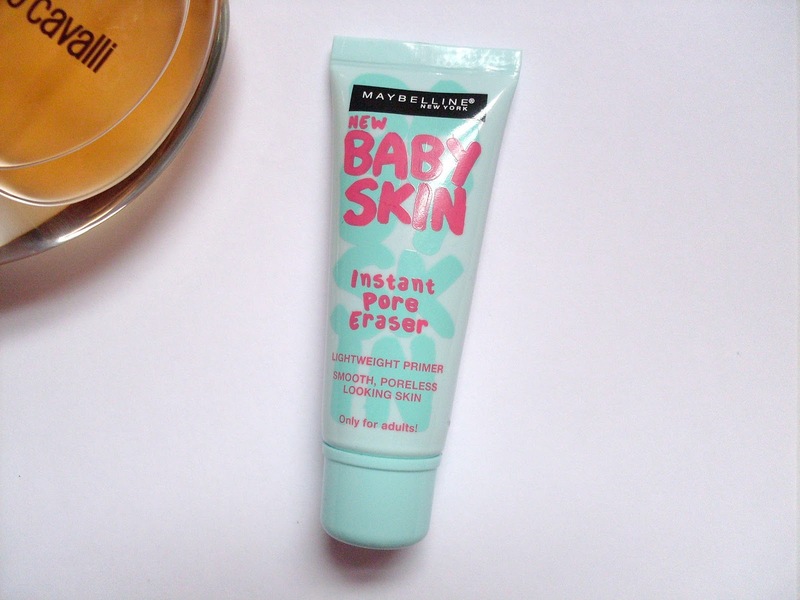 After all the hype about the Maybelline Baby Lips, the Baby Skin Instant Pore Eraser* was a much anticipated sidekick! I'm not usually one for following the hype and so didn't give it much thought until now. After hearing so much about this being a potential Benefit porefessional dupe (which I didn't get on with) I didn't have the highest expectations for this but I wanted to see how it pared up. Primers aren't something I wear on a daily basis and so a wedding was the perfect time to try this out, weddings are also the times when I tend to go the most out with my makeup! The product comes in a small tube with a screw top that's great for keeping the product fresh. The product itself is extremely siliconey and that's when I realised it's actually very similar to Smashbox's Photo Finish Primer that I was received a sample of. They both have the same transparent formula and blend into the skin effortlessly leaving it velvety soft. It claims to leave pores instantly erased for smooth-looking skin. Now I don't have the biggest pores but I do have a few around my nose. It did not instantly erase them, I could still see them a bit but it did blur them out so overall my skin did look smoother in comparison. 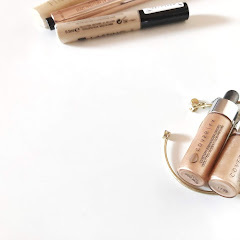 As I've probably mentioned numerous times before my skin is more on the dry side and so I look for a primer that will help my makeup stay on for longer and smooth over any dry patches. 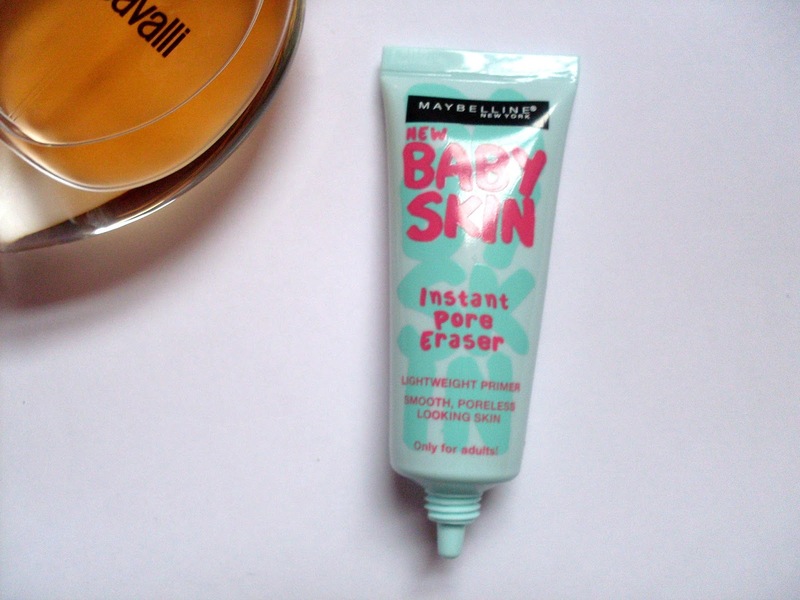 The Maybelline Instant Pore Eraser did tick those boxes for me, my makeup lasted till the evening. 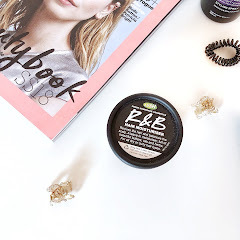 This primer might also be great for those of you who have dry skin too, whereas those with oily skin may want to try it out beforehand as you might find it too slippery for you. Pairing this with a silicone foundation rather than a water based one will also make your base last much longer! For the price, and the fact that there aren't many silicone primers at the drugstore, I do think this primer is worth it and it's great if you want to give silicone primers a go. 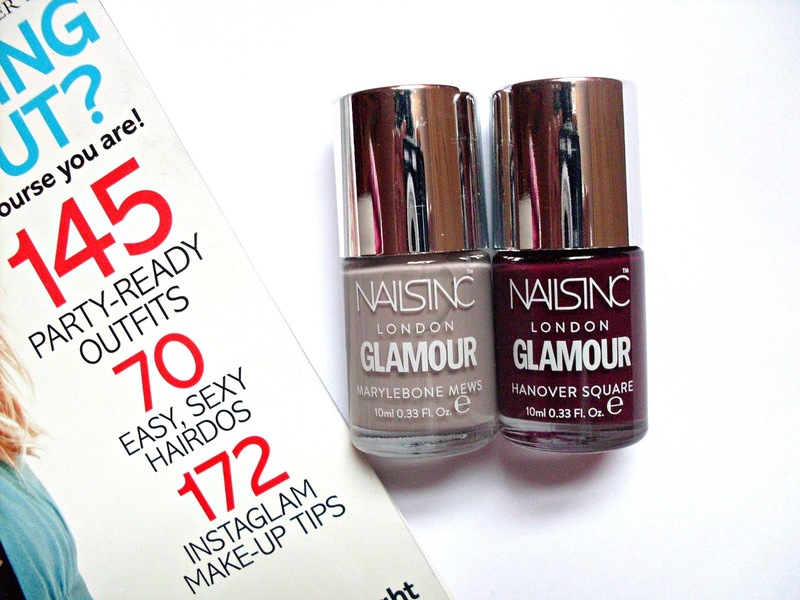 You can get it on ebay here for £5.40 or for £7.99 here at Boots included in the 3 for 2. 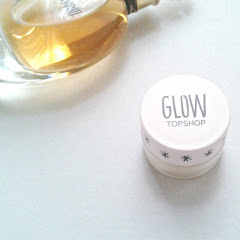 I was kindly allowed to test this out as part of beauty product testing by ProductTestingUK. You can check them out on twitter here. I hope you enjoyed this post! I'd love to hear what you think about silicone primers!